tactile touches. A large structure full of builder-grade finishes left a lifeless habitation for a vibrant family. Now, carefully-placed reclaimed wood and corrugated aluminum tie together levels and spaces, reflecting the characters that call the house "home". barnwood backdrop. 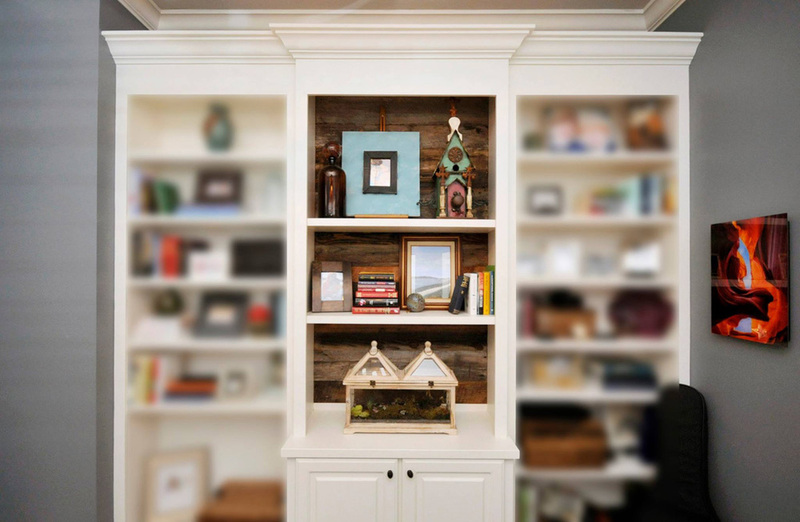 Side-by-side, the office and living room had walls lined with white painted shelving. As a smaller space with a wooden desk focal point, the office needed a slight rustic infusion to bring the middle bay to life. As a larger space with a fireplace focal point, the living room needed a substantial double dose. whimsical spotlight. 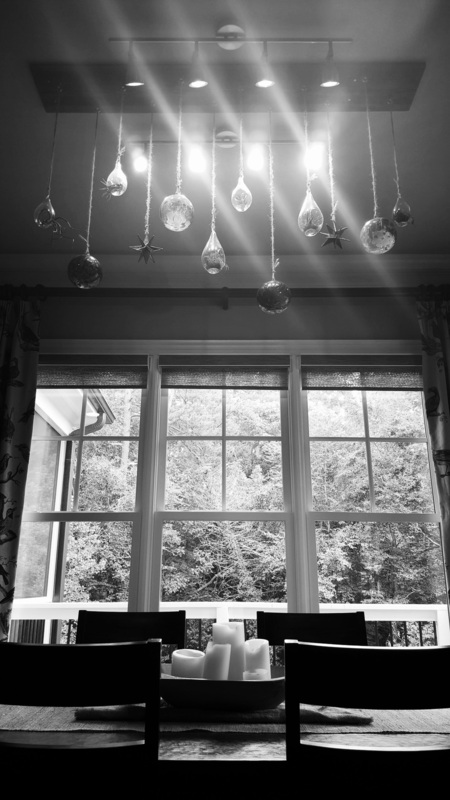 The cabinet-lined kitchen and window-lined eating area provided a singular opportunity for new life above the table. Visually dominant lighting fixtures in surrounding spaces paved the way for a contrasting relative: a colorful display of relics illuminated by track lighting to function as a lighting fixture of its own. 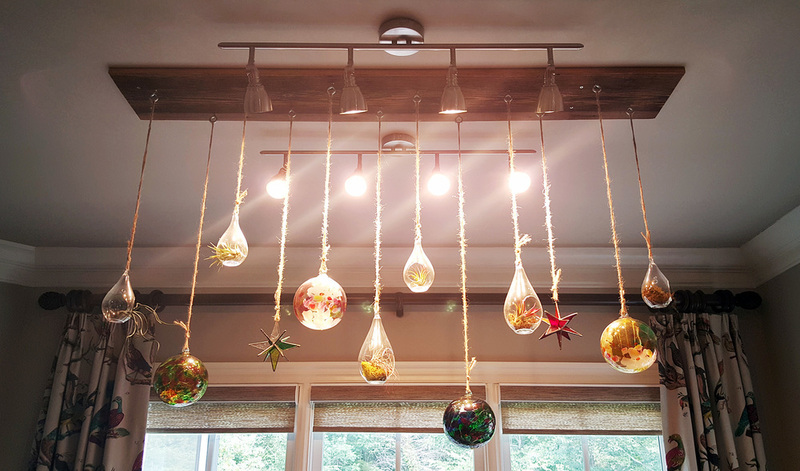 Hanging by coarse twine is a collection of kitras art balls, colored glass stars, and teardrop terrariums with air plants inside.